Like few others, Franz West embodies the “Austrian soul”, that sort of character which is quintessentially Viennese; and in a certain way he is the bohemian, the sculptor surrounded by his artist-friends, eccentric companions and aspiring musicians, equally capable of sipping a 1970s Château Petrus with reverence and knocking back wine-and-soda water as if it were soda pop. Robert Musil would have considered West an exemplary Austrian in the way he invented new mindsets. More playfully than almost anyone else, but always with precision, Franz West took on intellectual experiments as his true challenge. 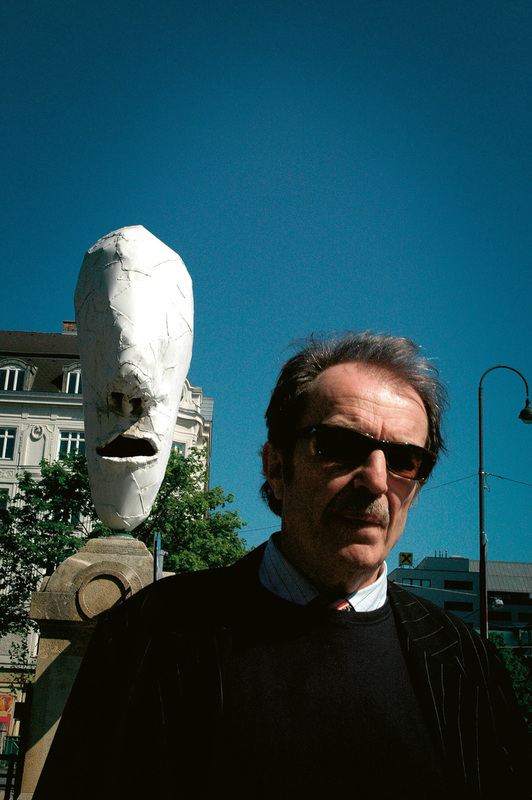 He shared with his mentor Bruno Gironcoli—as divergent as the two sculptors’ oeuvres may appear to be—that special, essentially Austrian character in a form that only ever appears in Vienna. In both their modes of work, which can only be described as consistentlyskurril (that is to say, quirky and consciously absurd), life and art combine into positively essay-like organisms. West had his own, original way of guiding spontaneously communicating combinations into his personal and sculptural worlds. In intuitive but intellectually witty choreographies, life scenarios and human encounters were made to interact within his artistic process. Bienniales, Documentas and major exhibitions at the great museums of this world did nothing to dilute his constant authenticity. His works are free from any intense self-image. But even so, his art is like he is—just as sensuous and laconic, but at the same time trashy. He understood the essence of materials, the fact that these as such have nothing more to give than the reality of their own selves. His art opens up insights into the depth of surfaces and the duration of moments, the meanings of which he understands. He knew how—and this was also his special talent—to fill the physical gaps in his approach with frequently surprising philosophical concepts. His Passstücke* (see note at end) and seating furniture are things that he relinquished; things that await completion via their reception and use; things that await new counterparts, free from unconditional insistence on original intentions. They sit on pedestals, lonely and waiting to be put into action by agents of the present; as sculptures, they defy other objects that happen to have been conceived in forms similar to their own. They are given over to use, misuse or simple wear, open to whatever comes along. Unexpected, occasionally paradoxical layers of meaning and preposterous bits of sensuality were the stuff of which Franz West’s works were made. 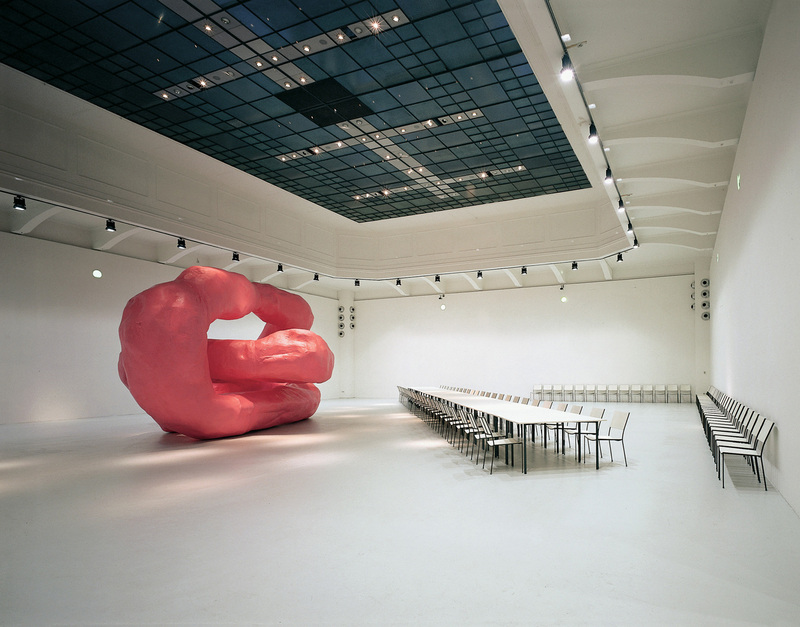 Franz West ignored the respectful distance of his unobtrusive yet unequivocal invitations to take part in the event that was “Sculpture by West,” which always followed the artist’s spontaneous choreography despite that ever-present element of externalization and letting go. Sporting an idiosyncratic recklessness with regard to his own self, he freed us from those reservations so often afflicting our relationship with art—such as the fear of saying something wrong, of thinking something inappropriate. He freed us of these like no other. 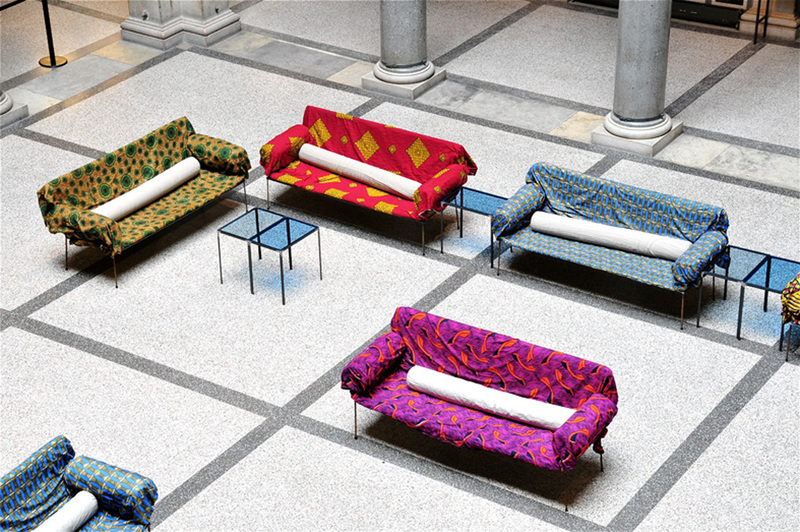 A convincing and very special case of this was born over 15 years ago: at the Viennese museum which I headed until recently, we succeeded in purchasing the series 12 Diwans, consisting of 25 divans, directly from the artist. Even today, I wonder at the uniquely special aura and quality of life which this institution has gained thanks to these artworks’ having been put to practical use. This aspect must not, cannot be diminished in the wake of his earthly passing. 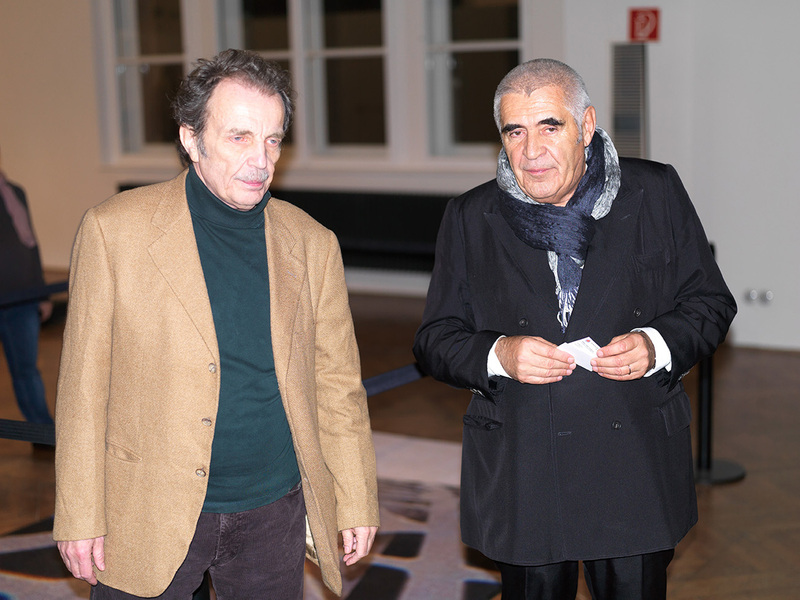 Beuys, for example, remains a clear case of an artist whose sculptures have come to represent artifacts of a lively process. I had an almost scary brush with a similar scenario this year in the Art Unlimited section of Art Basel, where the question, “Has West left West?" suddenly shot through my head. At this show, one of his sculptures was presented in a way reminiscent of the sculpture mentioned above (Drama)—at a gigantic scale, as an eye-catcher for the entire show. I immediately tried to get hold of West by phone—to no avail, unfortunately; later on, I no longer thought to ask or talk with him about it. These days, his objects are scattered among collectors, galleries, museums and public squares. They are all characterized by the intimate intellectual space and instinctive quality from which they arose—and even so, they have been let go by the artist and subjected to their own presentness. 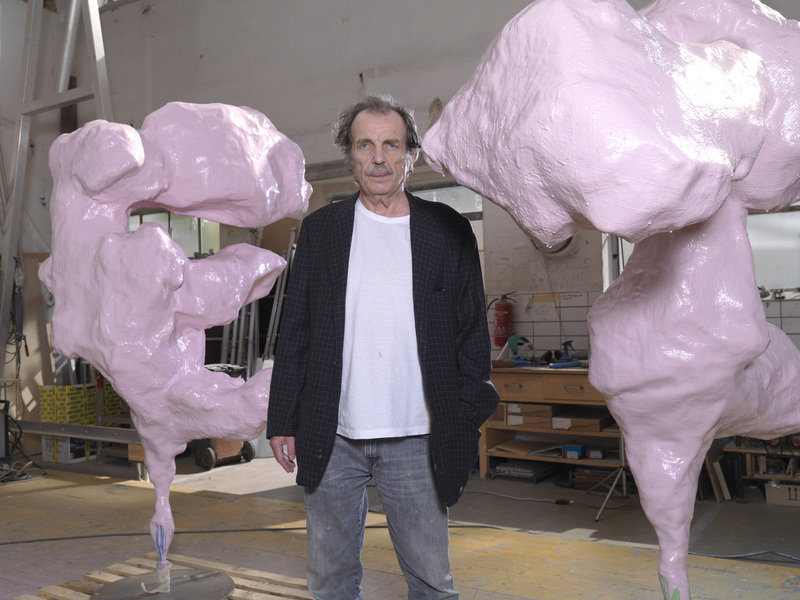 Franz West always stood and continues to stand at a certain distance from his works, something strangely modest for an artist. Open to simultaneity, ambivalence and fractures, he created sculptures as elementary scenarios somewhere between life and art, between the street and the museum. 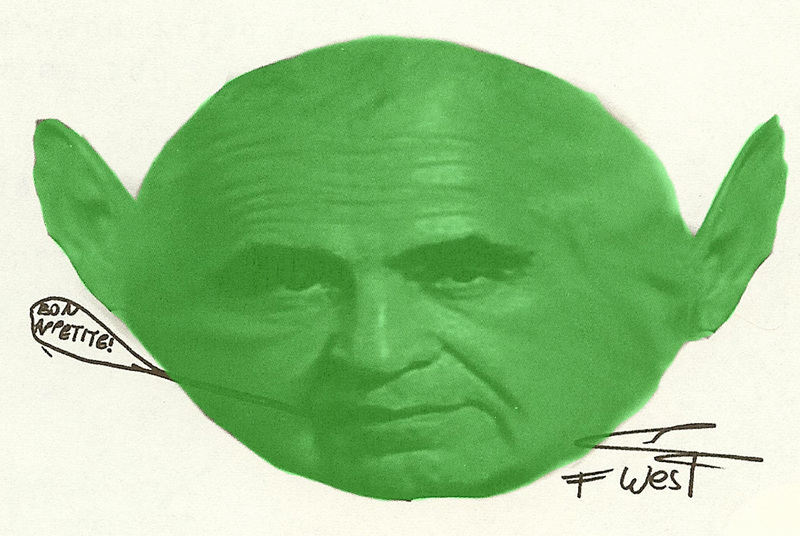 It goes without saying that Franz West was enthusiastically serious about both art and life. When Anish Kapoor expressed a desire to visit West at his studio, we went out for dinner with him. When pressed by Kapoor to see his studio, Franz West said he had a better idea, so we went directly from the restaurant to the nightclub Celeste near Vienna’s Naschmarkt. He wanted to pamper us with an appearance by his good friend and musical partner— which was a while in coming. A long series of groups took and left the stage, and it was long after 2 o’clock in the morning, I believe, when Philipp Quehenberger finally performed. Just as he did for over an hour, at the synthesizer, on July 31st of this year at Vienna’s Zentralfriedhof, where we took leave of my friend, Franz. * The term Passstücke [Adaptives] was originated by Viennese poet Reinhard Priessnitz, who likewise departed too early and was a mutual friend of Franz West and the author. ** He was quick to emphasize this title was thought up by his artist-friend Hans Weigand.